Together with software solutions company icometrix, it will pilot a new AI tool for patients with multiple sclerosis (MS) in Italy, Portugal, Switzerland and Serbia, and once appropriate protocols have been established over the next six months it will roll it out across the company's network which spans 16 countries. Giuseppe Recchi, Chief Executive Officer, Affidea, tells HBI: "It's not just making a more precise diagnosis, this is adding one more dimension – the capacity to measure the volume (of the condition)." 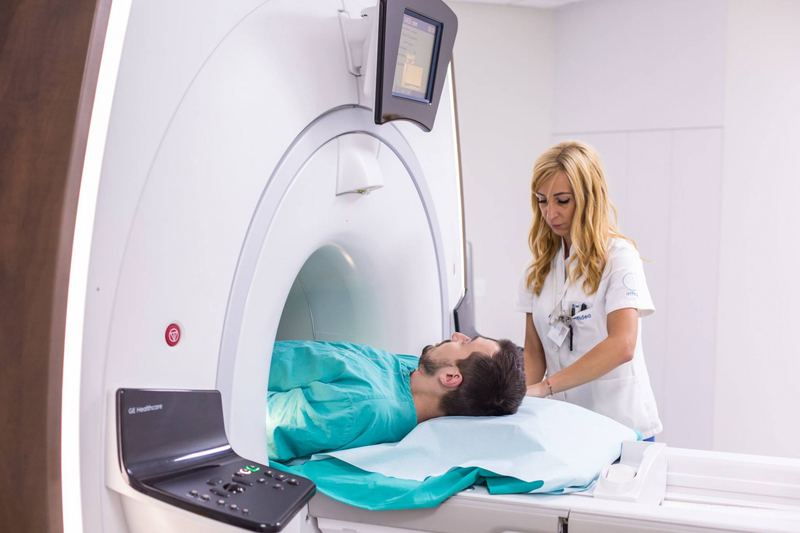 Because MS can be a progressive condition, the ability to accurately measure the volume of the affected area, and compare that with previous scans, can be key to assesing whether treatment to contain the condition is effective or should be changed – irrespective of symptoms. Recchi adds: "When you look at a scan and see spots on a scan, if they change in a micro dimension you can't notice, but a computer can." The AI was trained by submitting images to the AI and checking the prediction matched the doctor's diagnosis. It is still learning, Recchi says. On average, it takes half a million scans to train an AI in a specific area. Affidea does 13 million every year within its network. He adds: "We're in 16 countries with 16 different lifestyles and types of patient – that creates the best possible test track to measure the accuracy of AI software's in real world settings. "The patient's origin, condition, metabolism, race, the environmental conditions and behaviours are relevant. The more differentiation in the inputs you give for the training, the wider the AI's knowledge becomes and the more precise it becomes." The AI is still not precise – but its accuracy percentage is in the high nineties. Recchi says these numbers have to be put in perspective with the inherent human error risk. Considering whether AI will supplant or supplement radiologists, Recchi gives the response HBI is used to hearing every time this question is raised, while acknowledging there may be some opposition: "The AI will not take the place of human expertise. It's like how autopilots didn't take pilots out of their seats but allowed them to fly during fog and land at night. "AI will make the doctor more capable – it's more about quality and accuracy than productivity. "With AI you can segment the responses that need attention from those where the probability of having a disease is so low that you can defer to a later reading." The plan is to keep the AI learning and get the software certified and ultimately adopted by commercial users – this is not software Recchi wants to keep as unique to Affidea, he says. He declined to explain the financial agreement between Affidea and icometrix but agrees that the more widespread the software is, the greater the likelihood that payors will accept its benefit. "The market hasn't solved yet who is going to pay for it. We can say it will make savings for healthcare systems – faster processing, fewer errors and patients will receive a better service and care. The issue of regulations will be faster and better addressed if solved at a European level."